Taxi Matthias is a taxi service based out of St. Anton am Arlberg, Austria. In addition to serving the famed ski resorts of the region, Taxi Matthias also has regular service to all major airports and train stations in central Europe as well as the major hospitals throughout the region. Matthias Gassner, founder of Taxi Matthias, has decades of experience behind him. Wisely choosing quality equipment, he has brought his company to the forefront of the industry in the areas of comfort, reliability, and prompt service. 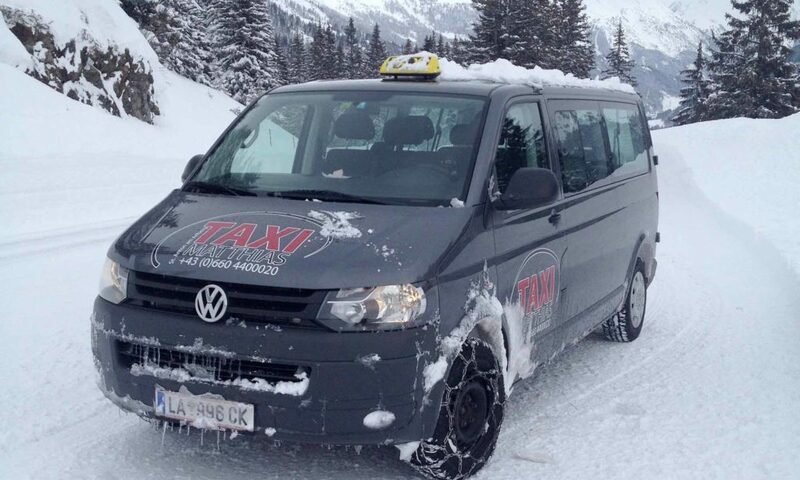 Serving ski resorts in the Alps, Taxi Matthias equips it’s vehicles to handle all weather conditions. Snow is no problem for our chained, four wheel drive auto!